While halfway through writing this post, I hit some crazy combination of keys on my computer and deleted the entire thing. Yeah. It’s been a day. So, after I mopped the tears off off my keyboard (not really, the deleted post was most likely less than eloquent) I am back to write some new thoughts. Well, probably not new, but also not an exact replication of what I had intended. My brain is a mystery like that. 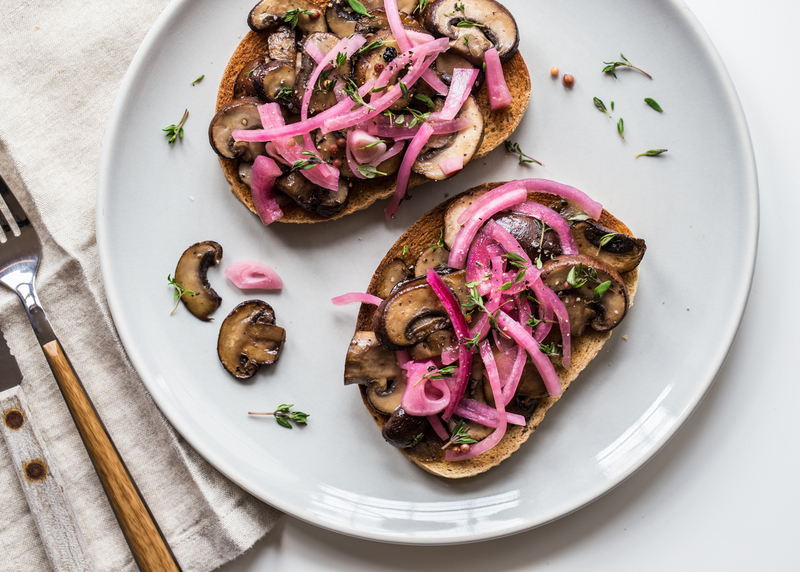 So, this mushroom toast with pickled onions came about in a pretty simple way. I am terrible when it comes to sitting down and eating proper meals throughout the day. Now that my kids are both in school and I am not in charge of making sure the small people in the house are properly fed, it turns out that I’m terrible at taking care of my own eating needs. Snacking and nibbling all day long or gobbling up now-cold bowls of soup. It’s a haphazard and admittedly unhealthy way of eating. For being someone who works with food all day long, I have no good excuse for this. I make no claims that all of my bad habits are out the window now that I’ve made this mushroom toast. That would be crazy talk. 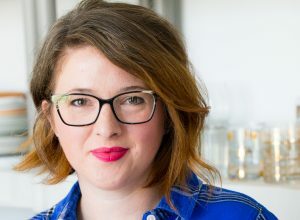 But, I have found that when I put some ingredients I have in the fridge on some toasted bread and serve it up with a cup of coffee, I tend to do better in the eating department for the day. Some days it’s smoked salmon toast and other days it’s hummus toast with pickled veggies. My goal is a variety of textures and something a bit briny is always welcome. Protein, veg, and some toasty bread. 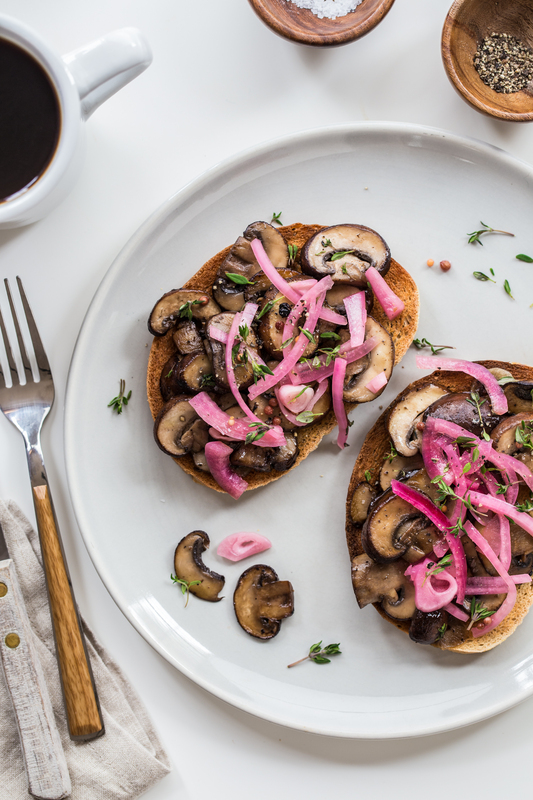 Today my toast was this simple mushroom toast topped with these glorious pickled red onions. I made a batch of onions that I shared on Instagram this weekend and have been adding them to the top of pretty much all my food for the last 3 days. 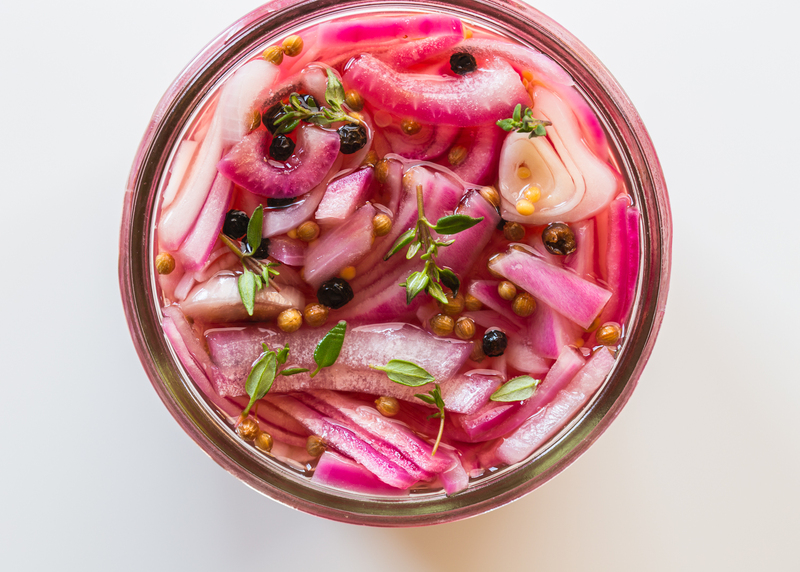 It had been a while since making pickled onions, and I went back to my favorite recipe which is a fool proof method from The Kitchn. I follow the recipe steps, but tend to mix up the amount and combination of flavorings every time I make them. I have outlined this batches of spices and seasonings in the recipe below however, I encourage you to mix it up and use what you have in your own fridge and spice cabinet. It’s fun recipe to play around with. 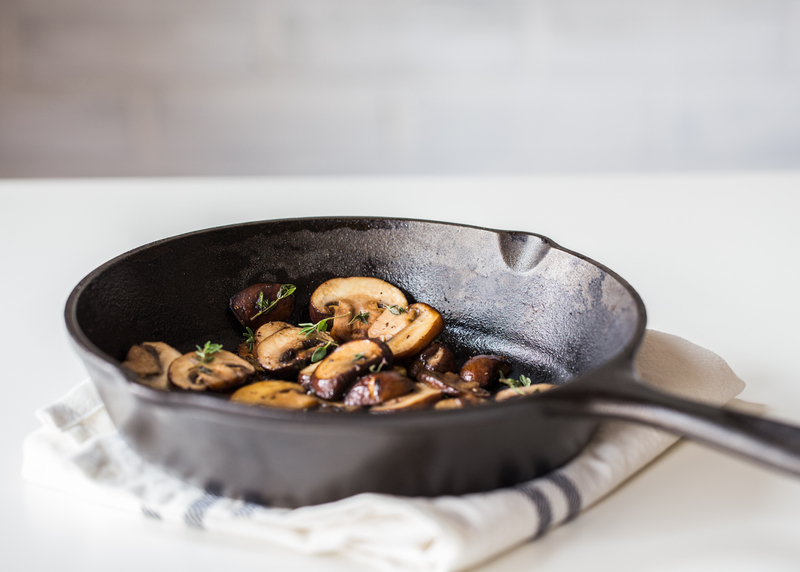 The mushrooms cook in just minutes and are packed with savory flavor and give the toast some heft. 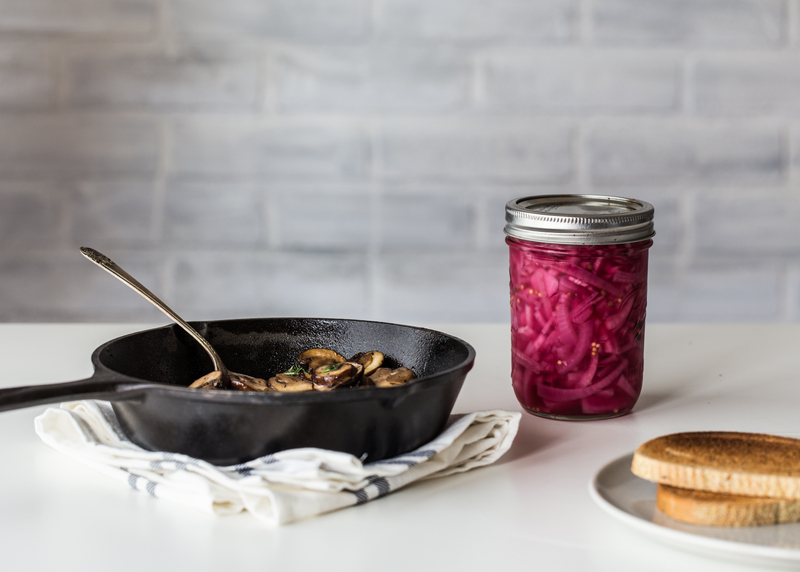 The brightness of the onions are the perfect topping for this mushroom toast. Today was a successful lunch eating day and for that, I’m grateful. One day at a time, my friends. Place sliced onions in a mesh sieve and hold over sink. Carefully pour boiling water over the onions to soften them, allowing the water to drain. Set aside. Stir together the vinegar, sugar, and salt in a clean quart size mason jar until sugar and salt are dissolved. Layer in onions and remaining flavoring ingredients in alternating layers into the jar, making sure everything is submerged in the vinegar mixture. The jar will be quite full. Place lid and refrigerate for at least 30 minutes before using. Leftover onions can last in the fridge for about 2 weeks. 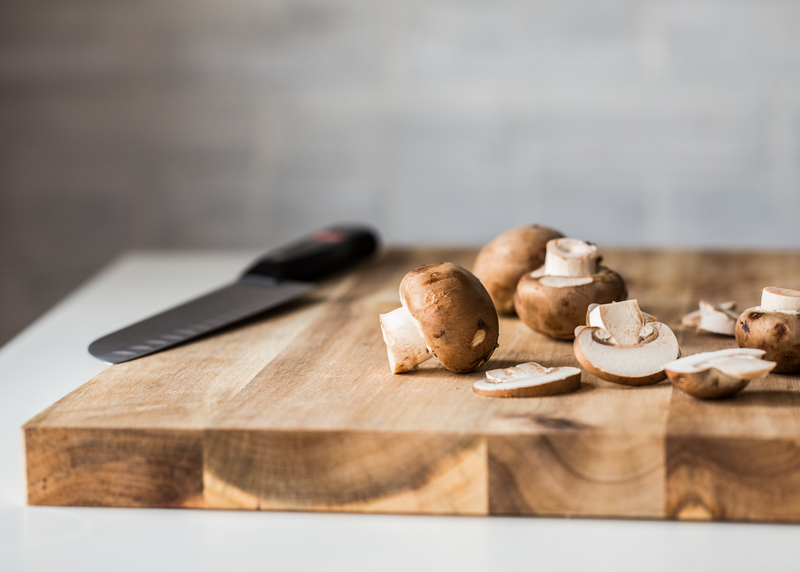 Wipe mushrooms clean with a damp paper towel and thinly slice. Heat olive oil up in a small skillet over medium heat. Add mushrooms and garlic and sauté for 3 minutes or until mushrooms start to brown and begin to release some of their liquid. Season with salt and pepper and cook, stirring occasionally until mushrooms are tender but not mushy; about 4 more minutes. Sprinkle with fresh thyme leaves, stir, and remove from heat. 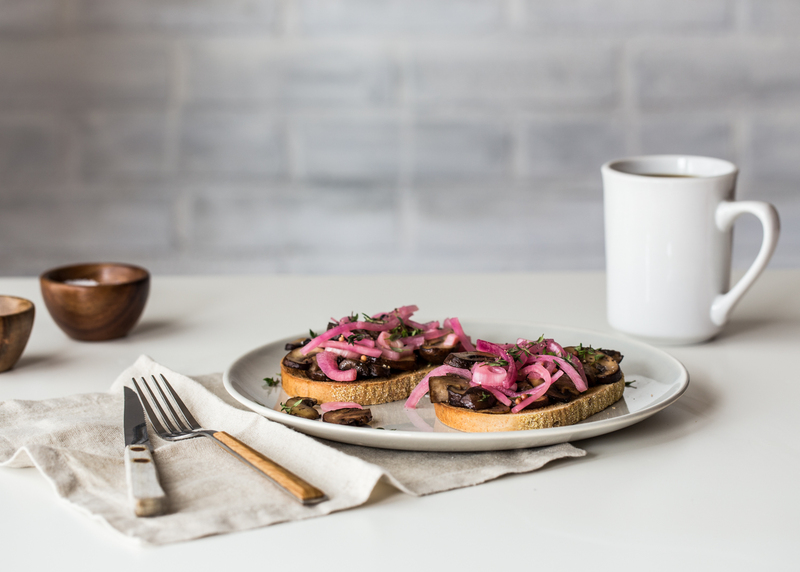 Spoon mushrooms onto toasted rye bread and top with a bit of the pickled onions (as much or as little as you like). Serve while mushrooms are warm.